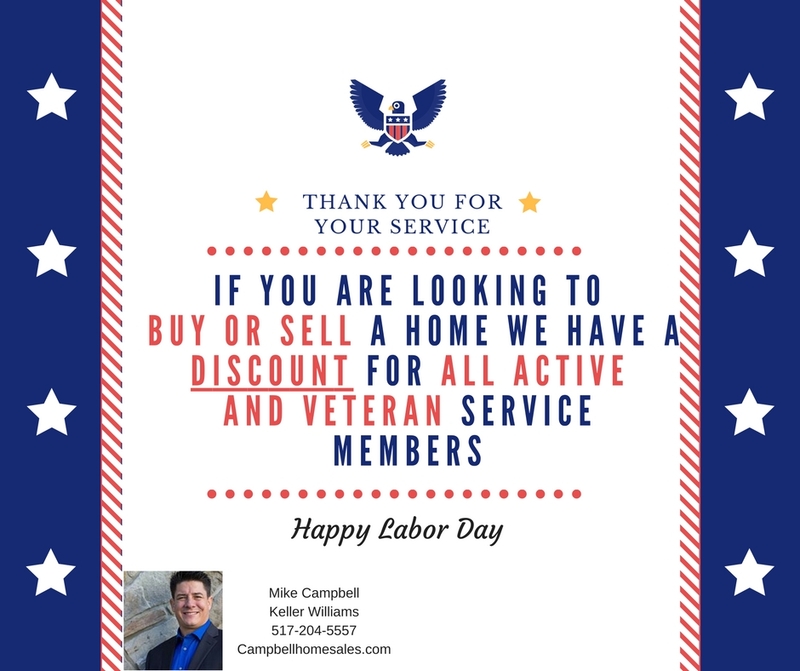 We would like to thank all of our active and veteran service members by offering our services at a discount to any members who are looking to buy or sell their home. Please contact us today to find out more about our discount and how we can help you buy or sell your home! 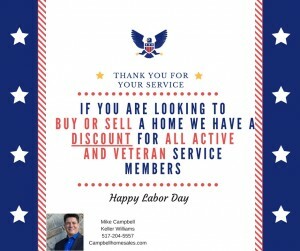 Call/text 517-204-5557 or e-mail us at Mikecampbellkw@gmail.com.